Want homemade pizza for dinner but you are out of yeast? No yeast, no problem! 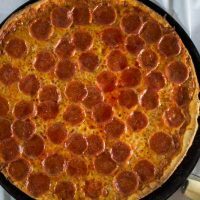 You can have a pizza on the table in less time than delivery with our thin crust pizza dough without yeast recipe! No rise-time required for a cracker-like thin pizza crust. I have made hundreds of cracker-like crusts looking for the perfect thin pizza crust and this is the recipe I keep going back to. 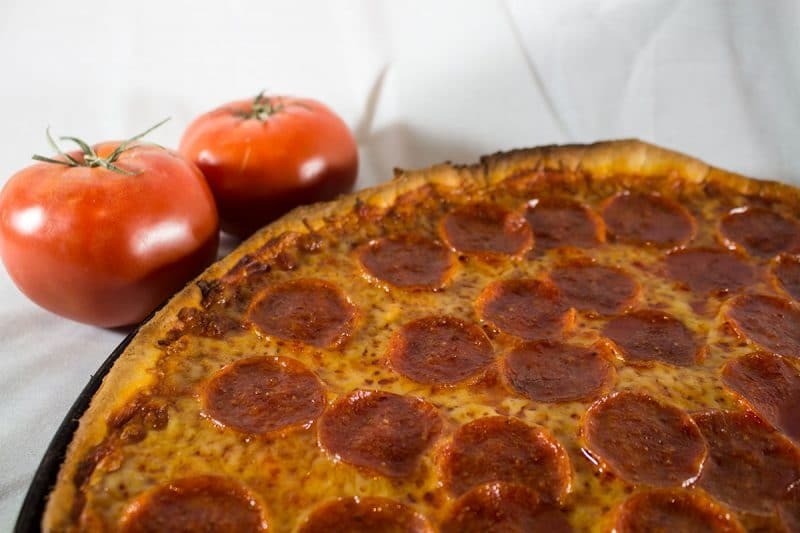 This thin crust pizza dough is the same kind of dough used in a St. Louis style pizza. I don’t care much chasing down fancy cheeses so I don’t use anything else from that region besides the dough. It is fairly quick and I tend to have the ingredients on hand since it uses no yeast. This one gets its minimum rise from baking powder. Be sure to use fresh baking powder for the best results! This thin pizza crust dough is easy to work with. No kneading, no fooling around. It might even remind you of the pizza crusts out of the pizza kits. 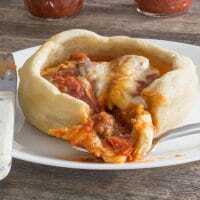 Simply mix the pizza crust dough up, let it sit for 10 minutes, put it right on your pan and roll it right onto the pan. 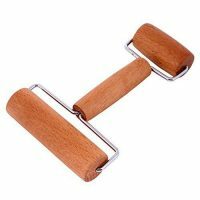 I use a mini rolling pin for this chore. 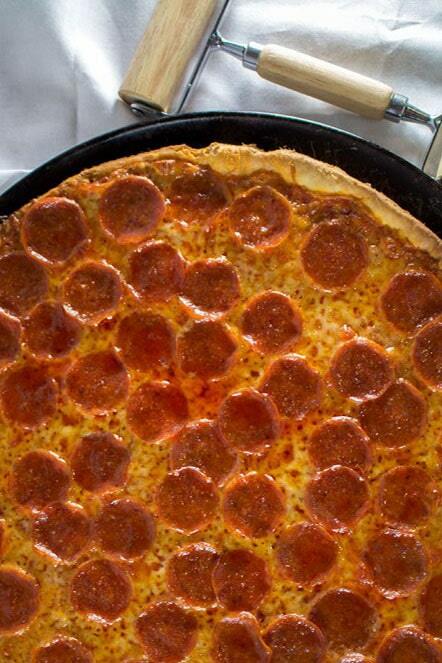 There is nothing better than a pizza with a crispy crust and a perfectly melted cheese to soothe a wandering soul. For an extra crispy crust, par-bake this dough before adding any toppings. Sometimes, I’ll make 2 pizzas so we can have leftovers the next day for lunch. I have been known to eat this straight out of the refrigerator! 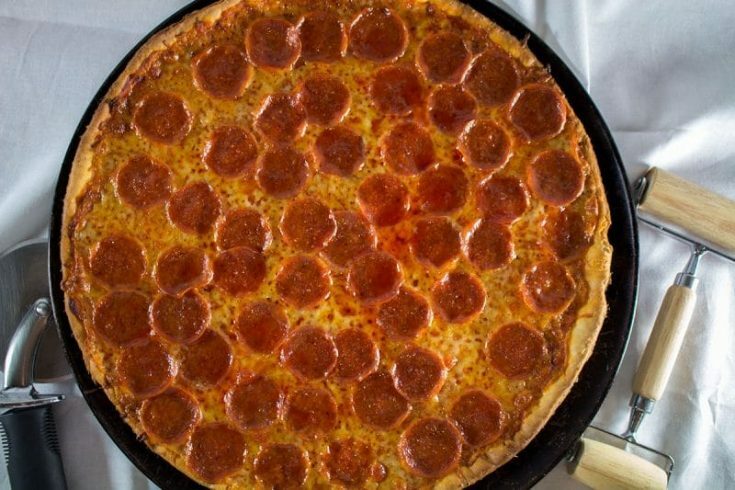 I find this reheats the best if you stick it in a hot oven until the cheese is bubbly again, then transfer the pizza pieces into a medium hot skillet until the crust is crispy again. If you are in a hurry, the microwave works too, it just won’t be as crispy as the night before. 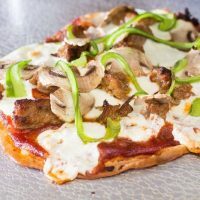 Crispy Thin Pizza Crust uses no yeast and minimal resting time. Spray a 16-inch pizza pan with cooking spray and set aside. In a mixing bowl, combine all of the dry ingredients. In a separate bowl combine oil and water. Slowly add the wet ingredients to the dry ingredients, mixing as you go. Continue mixing until the dough comes together and is no longer sticky. You may need to add more flour or water 1 tablespoon at a time to reach workable consistency. When the dough has come together, cover with a towel and set in a warm place for 10 minutes. Place dough onto prepared 16-inch pizza pan and press or roll until it is at the edge of the pan, all the way around. Trim any dough that is hanging over the edges of the pan. Let rest for 5 minutes. If there has been any shrinkage in size, roll the dough to the edge of the pan again. Place in preheated oven for 5 to 10 minutes or until the crust is beginning to brown in spots. 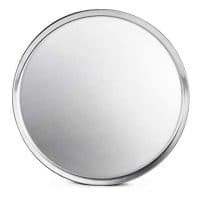 Leave the oven set to 425 degrees F.
Remove from oven and place on a heatproof work area. 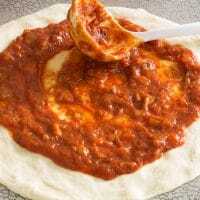 Cover with favorite sauce, followed by mozzarella cheese, then topping of your choice. Place back in 425 degrees F oven, bake until cheese and toppings have reached your desired doneness. Carefully remove from the oven and cut into your desired shape. Nutritional data is for crust only. Toppings must be calculated separately. If using our easy pizza sauce recipe, 1/4 cup of sauce would be 63 calories. That sauce would cover the 2 slices of pizza. The way I make a pizza uses about 1/2 cup of mozzarella cheese for each serving, around 168 calories. So the total for 1/4 of a pizza using this dough would be about 523 calories. 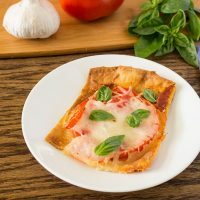 Recipes for pizzas and pizza inspired foods! Pepperoni Pizza Rolls, an all-ages family favorite. 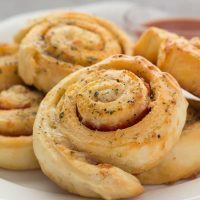 Pepperoni and mozzarella cheese pinwheels topped with a garlic herb glaze. Perfect little pepperollies. Margherita pizza with a simple garlic infused olive oil base, juicy tomatoes, mozzarella cheese and topped with fresh basil. Flatbread pizza using homemade flatbread for a crust. Crispy and quick! 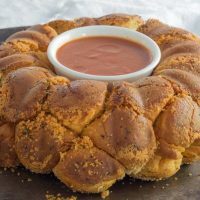 Pepperoni Monkey Bread, a savory twist on the standard pull-apart biscuit loaf baked in a bundt pan.Biscuits, pepperoni, mozzarella cheese, and garlic butter come together to make a delicious appetizer or snack. Just the dough. 2 slices would be 1/4 of the pizza. If using our easy pizza sauce recipe, 1/4 cup of sauce would be 63 calories. That sauce would cover the 2 slices of pizza. The way I make a pizza uses about 1/2 cup of mozzarella cheese for each serving, around 168 calories. 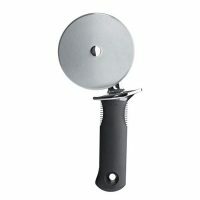 So the total for 1/4 of a pizza using this dough would be about 523 calories. Are the calories based on just the dough? Or including the tomato sauce and cheese?